The future of the marijuana industry is extremely bright, at least if you ask those who have hitched their wagon to it. 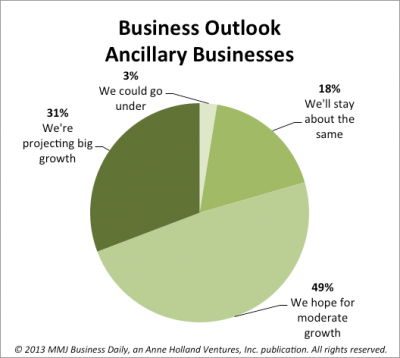 Roughly 80% of executives at ancillary cannabis companies said they expect to grow this year, according to exclusive survey results in the Marijuana Business Factbook 2013. Nearly 50% of respondents said they hope for moderate growth, while 31% are projecting “big” growth in revenues. Just 3% of owners think they might go under or see their business contract significantly, while 18% said sales will probably stay the same. Ancillary firms don’t cultivate or sell marijuana but help the companies that do or provide related services geared towards patients and cannabis users. Examples include MMJ-focused law firms, accountants, cannabis testing labs, insurance providers, real estate professionals, tech and security companies, consultants, dispensary listing services and advertising agencies, among others. 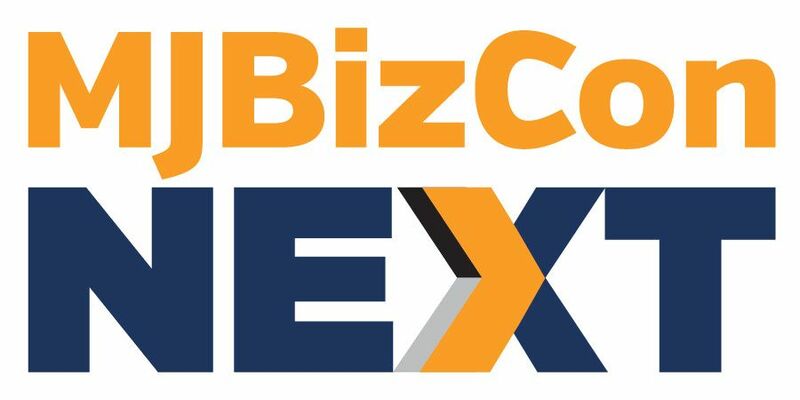 The high level of confidence in the industry’s prospects – in a sluggish economy, no less – is an encouraging sign for current business owners and those looking to start a cannabis-related company. It’s a significant turnaround from a year ago, when pessimism ruled the day amid a federal crackdown on MMJ. The survey was conducted earlier this year, when entrepreneurs were still buzzing from the legalization of cannabis in Colorado and Washington State, the apparent end of the federal crackdown, the continued expansion of the MMJ industry into new states and several other positive developments. The landscape is similar today, though recent signs that the federal government and local officials in some areas are resuming a crackdown – coupled with a damaging Supreme Court ruling in California – have dampened optimism among some professionals. Still, the industry is riding solid momentum, and more states could go green this year. Colorado and Washington also remain on track to launch retail marijuana operations by early next year, which will create substantial ancillary business opportunities. MMJ Business Daily estimates that marijuana sales via dispensaries will hit as much as $1.5 billion this year, up from $1.2 billion to $1.3 billion in 2012. The figure is expected to at least double to as much as $3 billion next year when factoring in adult-use cannabis sales in Colorado and Washington. Of course, entrepreneurs – by nature – are optimistic folk. Projections of growth are one thing; actual growth is another. But the outlook of business owners (like consumer confidence readings) is often a bellwether for business conditions and the investment climate. 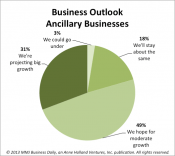 So strong optimism among ancillary businesses bodes well for the entire industry. Click here to get your copy of the entire 180-page Marijuana Business Factbook 2013, which includes exclusive financial, legal and market research data for cannabis professionals.